Federal court jurisdiction is limited to certain kinds of cases listed in the Constitution. For the most part, federal courts only hear cases in which the United States is a party, cases involving violations of the Constitution or federal law, crimes on federal land, and bankruptcy cases. Federal courts also hear cases based on state laws that involve parties from different states. While federal courts hear fewer cases than the state courts, the cases they do hear tend to be of national importance because of the federal laws they enforce and the federal rights they protect. A grand jury does not determine guilt or innocence, but whether there is probable cause to believe that a crime was committed. The evidence is normally presented only by an attorney for the government. The grand jury must determine from this evidence whether a person should have formal charges filed by the government. If the grand jury finds probable cause, then it will return a written statement of the charge called an indictment. Why doesn't the automated system recognize my participant number? Your Questionnaire must be returned to our office and processed before the automated calling system will recognize your participant number. If you haven't returned your Questionnaire please do so immediately and continue to call the automated system every weekend. If I served on jury duty for Superior Court do I have to serve for Federal Court? In order to be excused from jury duty in Federal Court you must have served on an actual jury that rendered a verdict within the last two years. Can I bring a cell phone, pager or laptop computer into the Courthouse? Cell phones, pagers and laptop computers are allowed in the Courthouse and may be used in the Jury Assembly Room. Once called into the courtroom, they must be turned off. Your family may call the Jury Office and staff will then give you the message. It is best to leave family, friends and children at home while you serve on jury duty. If you need to leave the Jury Room please notify someone in the Jury Office. Once you are in the courtroom you may only leave when the Judge allows for a break. Jurors must wear appropriate attire. Shorts, halter or tank tops, and thong sandals are not appropriate. Business casual is encouraged. You will not be paid if inappropriately dressed. Since the courtrooms tend to be cool, you may also want to bring a sweater or light jacket. Yes. Please bring your parking ticket with you to the Courthouse for validation. Breaks are given. There are several restaurants within walking distance of the Courthouse as well as a kiosk located in the building. Jurors are also welcome to bring their own lunch. An Order to Show Cause may be served on any juror who fails to report for jury duty. 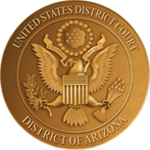 The juror may be required to appear before a judge to show adequate cause for their absence from jury duty and may be held in contempt of court under the Jury Selection Act (18 U.S.C. 1866(g)). Penalties range from a fine of $1,000, three days in jail, community service, or any combination thereof. You will be paid $50/day for each day of jury attendance or travel, and 58 cents per mile (calculated based on your physical address) for your round-trip travel. If you are a federal government employee you are not entitled to the attendance fee but you will be paid for your mileage. Juror payment checks are mailed approximately 2-4 weeks FOLLOWING your service. There will be a Certificate of Attendance available each day in the Jury Assembly Room. Once your service is completed, you may click here to obtain proof of service from our website. It is important that you report promptly for jury duty. If an emergency arises please notify the jury office of the circumstances and when you expect to arrive. Once you have served as a juror for a trial your jury service is finished for the reporting period. If I have to stay overnight in a hotel how does that work? If you live more than 60 miles one way from the courthouse you are entitled to stay overnight in a hotel. The hotel would be one of your choosing but you should let them know you are a federal court juror and ask if they have a government rate. A hotel receipt must be submitted to the jury office in order to be reimbursed. You also need to take into consideration the subsistence rate which is intended to cover both meals and lodging. The court will not reimburse you for any amount you incur over the subsistence amount. When making your reservation, please inquire about the hotel’s parking arrangements. The court will not reimburse valet parking expenses if self-parking is available. A receipt must be provided for reimbursement. Please bring your Jury Summons and Jury Badge with you when you report. You may also want to bring books, magazines or study materials with you. Since the courtrooms tend to be cool, you may also want to bring a sweater or light jacket with you. Yes. Jurors who live over 60 miles from the Courthouse may travel the night before and will be eligible to receive a per diem allowance to assist in covering any lodging and meal expenses. It is recommended that jurors who reside 60 or more miles from the courthouse come prepared with clothing and personal items to last through the end of the week in the event they are selected as a trial juror and elect not to commute. Mileage reimbursement cannot exceed the per diem allowance. Phoenix and Tucson jurors are on call for one week and will check their reporting status the weekend prior to the week they are on call. Prescott jurors are on call for one calendar month and will check in every weekend for the month on call. The date to begin checking your reporting status can be found on your Summons and the information letter that was mailed to you. Once you have made an appearance and/or served as a juror, you are no longer on call. It is your responsibility to call our automated telephone system (1-877-785-1415) or click here on the weekend indicated on your summons and follow the instructions you receive. If you are told to report for jury duty you must then check the night before you are to report for further instructions. Prior to your appearance date you may call our automated phone system (1-877-785-1415) or click here to find out the status of your excuse request. You may include this information on the reverse side of your Juror Qualification Questionnaire form. If you have already returned your questionnaire, click here to submit your request in writing to the Jury Clerk via our website. Return the completed Questionnaire immediately to the Court or click here to complete it online. Your name is selected randomly from voter registration lists in your county. The Court then mails you a Juror Summons and Questionnaire form which you complete and return.